Chandigarh 31st July:-A superstar, a superhit banner and a successful director come together for the next big blockbuster in Punjabi cinema. 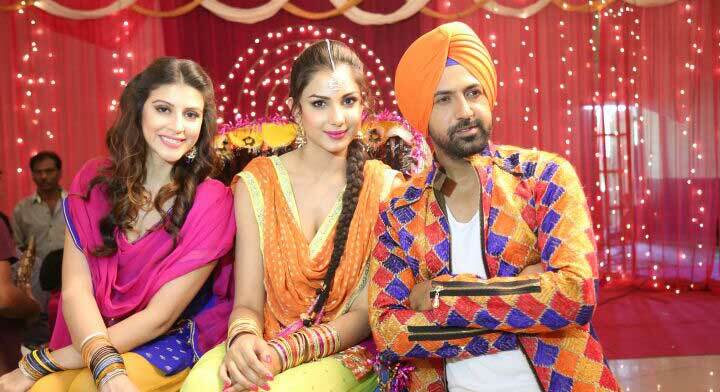 That's Kaptaan starring Desi Rockstar Gippy Grewal in the title role. The film is being produced by one of the most prolific and successful film production houses of the country, Tips Films . Not only are they veterans of the trade and producers of many Bollywood blockbusters, Tips Films has also set high benchmarks in Punjabi films with three back-to-back blockbusters in Dil Apna Punjabi, Mel Karade Rabba and Jihne Mera Dil Luteya. Kaptaan is being directed by Mandeep Kumar whose last couple of films have been superhits – Tere Naal Love Ho Gaya and Jihne Mera Dil Luteya. Kumar Taurani of Tips said that we are supremely confident that Kaptaan will be the next big Punjabi blockbuster. Having delivered hits we know the pulse of the audience in Punjab and are very excited about Kaptaan.